Until the 1890s the Kingdom of Hawaiʻi was an independent sovereign state, recognized by the United States, the United Kingdom, France, Japan, and Germany. Though there were threats to Hawaii's sovereignty throughout the Kingdom's history, it was not until the signing, under duress, of the Bayonet Constitution in 1887, that this threat began to be realized. 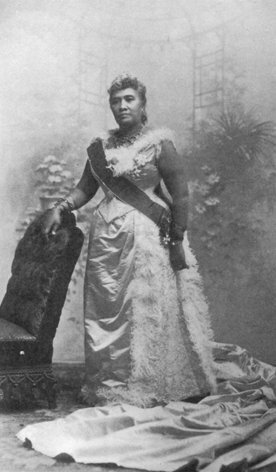 On January 17, 1893, the last monarch of the Kingdom of Hawaiʻi, Queen Lili'uokalani, was deposed in a coup d'état led largely by American citizens who were opposed to Lili'uokalani's attempt to establish a new Constitution. The success of the coup efforts was supported by the landing of U.S. Marines, who came ashore at the request of the conspirators. The coup left the queen imprisoned at Iolani Palace under house arrest. 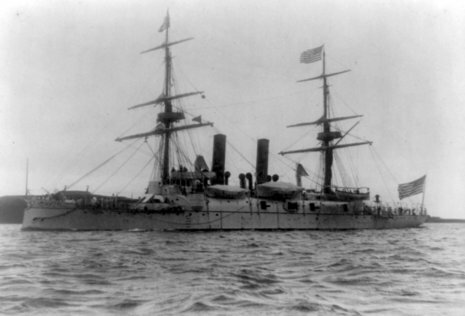 The sovereignty of the Kingdom of Hawaii was lost to a Provisional Government led by the conspirators, later briefly becoming the Republic of Hawaii, before eventual annexation to the United States in 1898. One hundred years later, the U.S. Congress passed Public Law 103-150, otherwise known as the Apology Resolution, signed by President Bill Clinton on November 23, 1993. 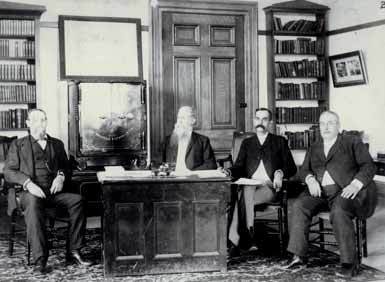 The resolution apologized for the U.S. Government's role in supporting the 1893 overthrow of the Kingdom of Hawaii. The coup d'état that overthrew Queen Lili'uokalani was led by Lorrin A. Thurston, a grandson of American missionaries who derived his support primarily from the American and European business class residing in Hawaii and other supporters of the Reform Party of the Hawaiian Kingdom. Most of the leaders of the Committee of Safety, which deposed the queen were American and European citizens who were also Kingdom subjects. They included legislators, government officers, and even a Supreme Court Justice of the Hawaiian Kingdom. The coup itself was relatively bloodless, with only one policeman wounded. Due to the Queen's desire "to avoid any collision of armed forces, and perhaps the loss of life" for her subjects and after some deliberation, at the urging of advisers and friends, the Queen ordered her forces to surrender. 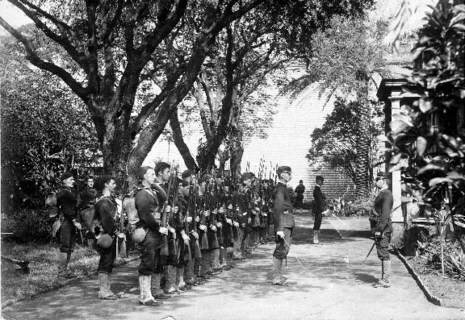 Immediate annexation was prevented by the eloquent speech given by President Grover Cleveland to Congress at this time, in which he stated that the "military demonstration upon the soil of Honolulu was of itself an act of war; unless made either with the consent of the government of Hawai`i or for the bona fide purpose of protecting the imperiled lives and property of citizens of the United States. But there is no pretense of any such consent on the part of the government of the queen ... the existing government, instead of requesting the presence of an armed force, protested against it. There is as little basis for the pretense that forces were landed for the security of American life and property. If so, they would have been stationed in the vicinity of such property and so as to protect it, instead of at a distance and so as to command the Hawaiian Government Building and palace. ... When these armed men were landed, the city of Honolulu was in its customary orderly and peaceful condition. ... "
The Republic of Hawai'i was nonetheless declared in 1894 by the same parties which had established the Provisional Government after the coerced signing of the Bayonet Constitution of 1887. Among them were Lorrin A. Thurston, a drafter of the Bayonet Constitution, and Sanford Dole who appointed himself President of the forcibly instated Republic on July 4, 1894. The Bayonet Constitution allowed the monarch to appoint cabinet ministers, but had stripped him of the power to dismiss them without approval from the Legislature. Eligibility to vote was also altered, stipulating property value, defined in non-traditional terms, as a condition of voting eligibility. One result of this was the disenfranchisement of poor native Hawaiians and other ethnic groups who had previously had the right to vote. This guaranteed a voting monopoly by the landed aristocracy. Asians who comprised a large proportion of the population, were stripped of their voting rights as many Japanese and Chinese members of the population who had previously become naturalized as subjects of the Kingdom, subsequently lost all voting rights. Many Americans and wealthy Europeans, in contrast, acquired full voting rights at this time, without the need for Hawaiian citizenship.